Twin turbo 3.0-litre straight six engine with 430PS. More powerful, quicker yet more economical than before. Impressively forgiving ride. Phenomenal grip in the dry. 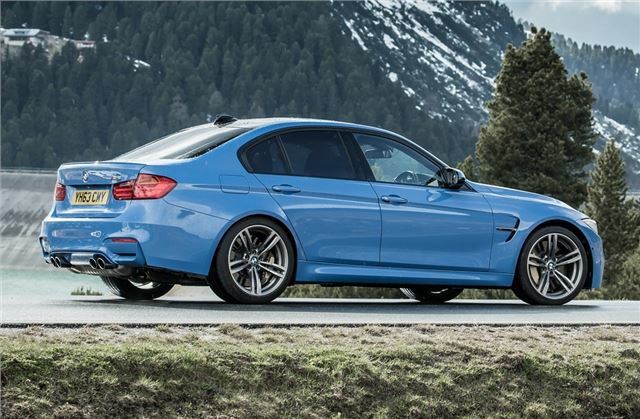 Lacks the V8 sound of the previous M3. 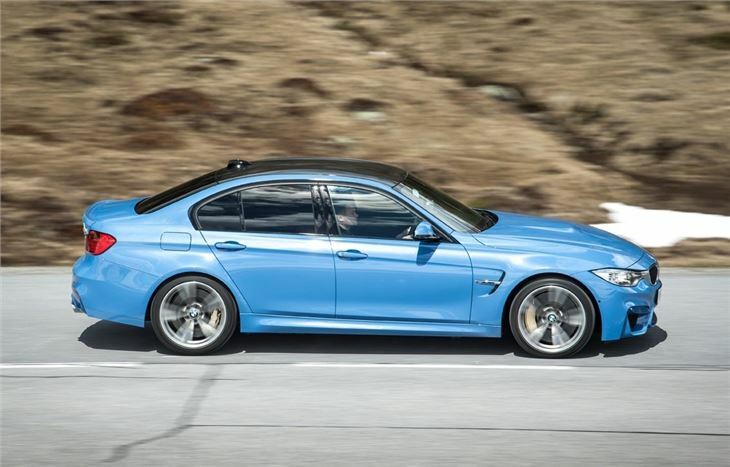 When it comes to high performance saloons, one name has always led the way - the BMW M3. 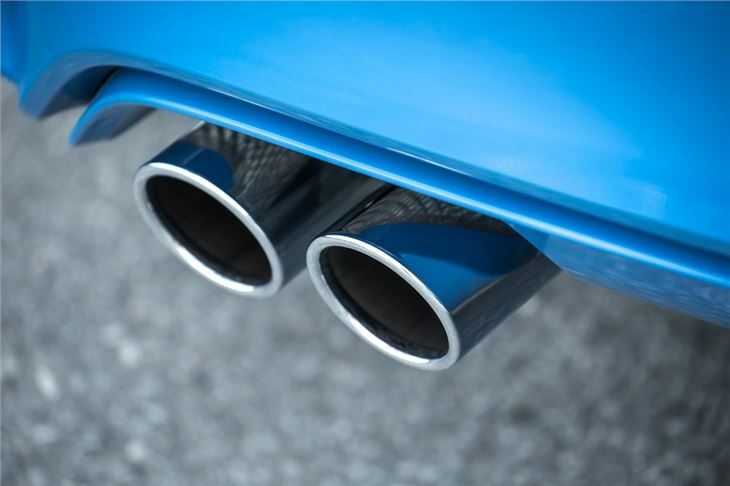 First launched in the mid-1980s, it has since built up a reputation as one of the quickest and finest handling cars around. 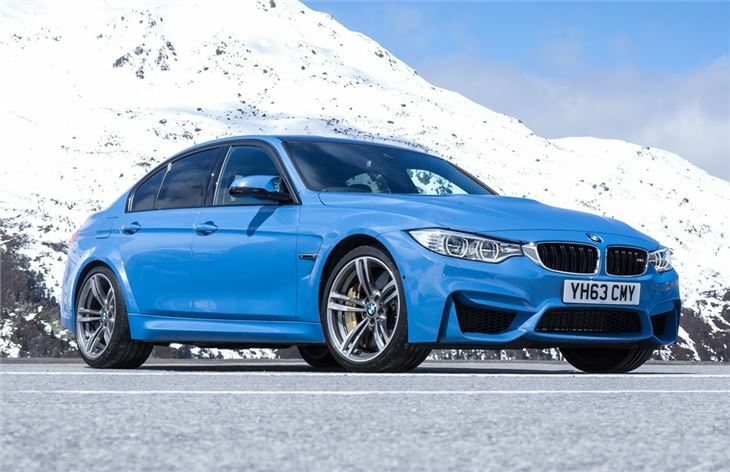 For this the fifth generation M3 there are some key changes the most significant of which is the change to a turbocharged engine. So out goes the normally aspirated V8 of the previous M3 to be replaced by a much more economical 3.0-litre six-cylinder engine. 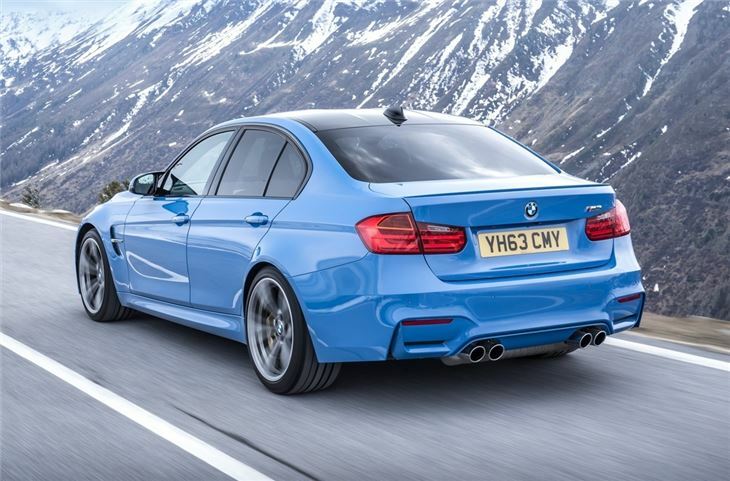 It may be smaller in size but thanks to twin turbochargers it has 431PS on tap. However the big increase comes in torque which is now 550Nm and available across a wider range. 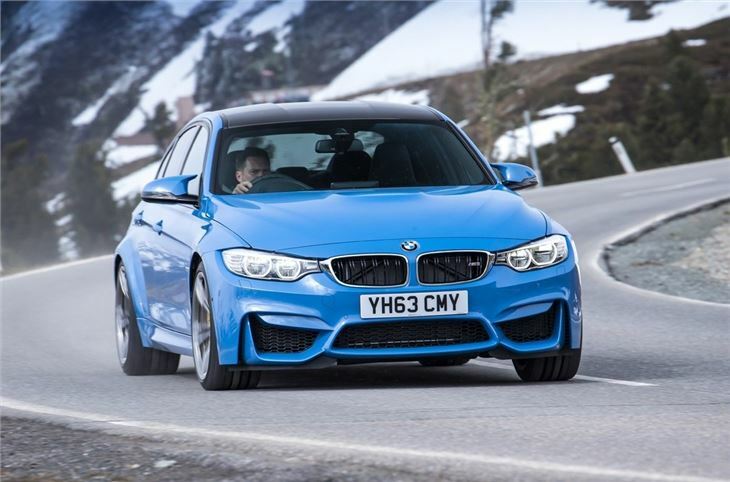 In comparison the previous V8-powered M3 had 400Nm of torque and 420PS. It doesn't quite have the character or sound of the old V8 engine but it certainly has the performance you'd expect from an M3. 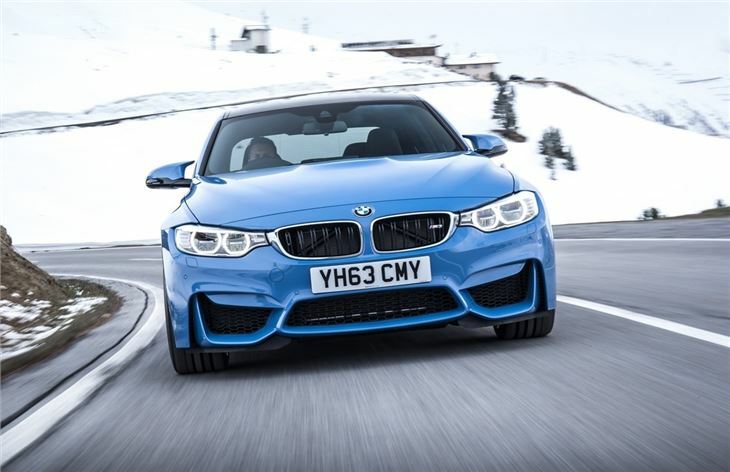 Acceleration from 0-62mph is just 4.3 seconds while choosing the optional M DCT automatic drops this to 4.1 seconds. 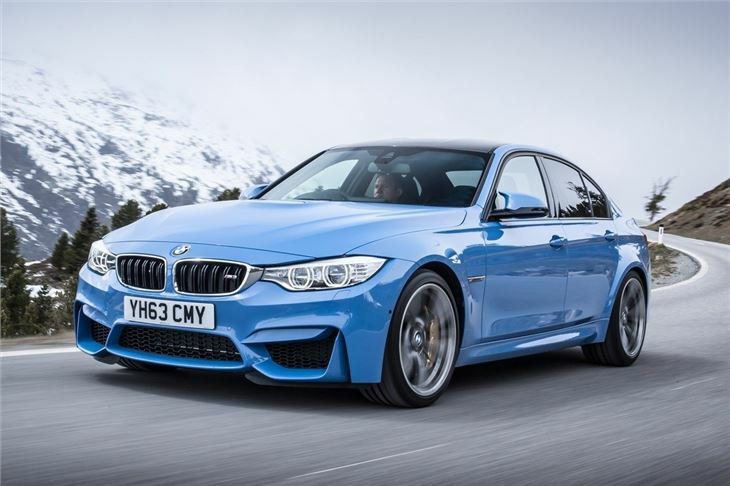 That's a significant improvement over the 4.9 seconds of the outgoing M3 yet the new engine is also more efficient with claimed economy of 32.1mpg on manual models. 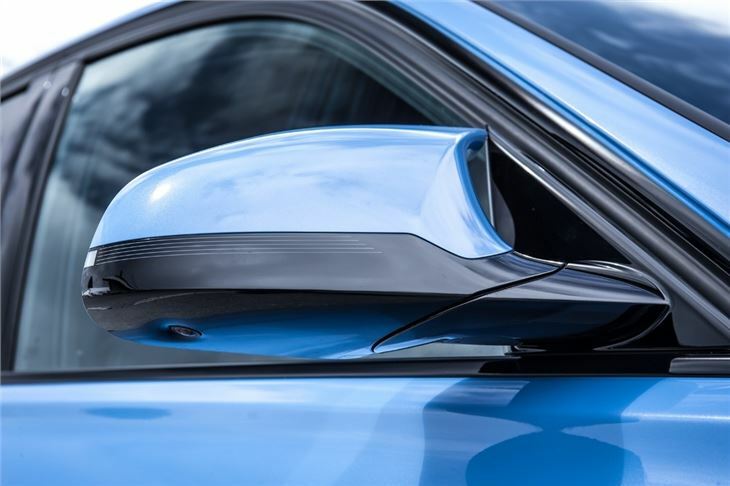 That's helped by the fact the new model is 80kg lighter thanks to more lightweight materials and a carbonfibre reinforced plastic roof. In fact compared to a standard 3 Series, only the doors, headlights and windscreen are carried over. 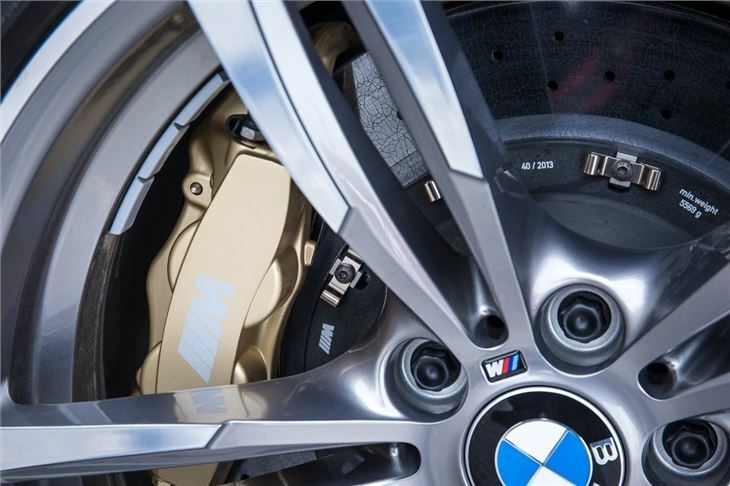 The standard six-speed manual uses new carbon friction linings for better shifts and now automatically blips the throttle on downshifts, previously a feature only available on the M DCT gearbox. 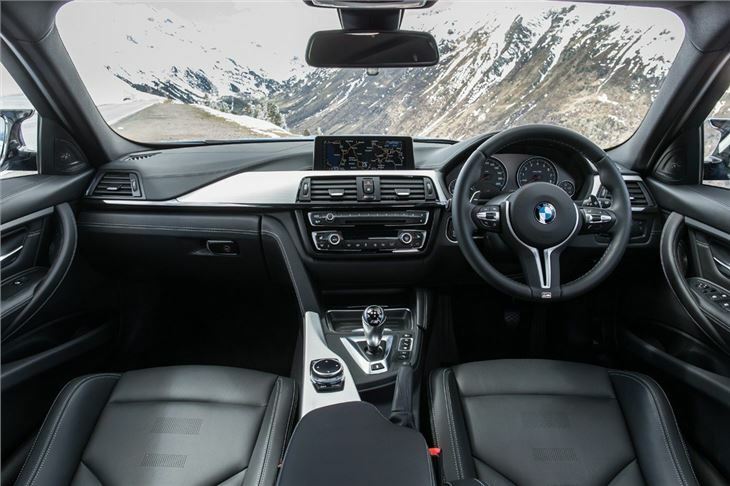 The double clutch M DCT has a launch control function which helps reduce the 0-62mph time along with various Drivelogic modes which give the driver the option of changing the driving characteristics from a comfort and economy to an even sportier set-up. On the road the M3 is incredibly sedate and easy to drive at low speeds, meaning it's a car that you can live with everyday. 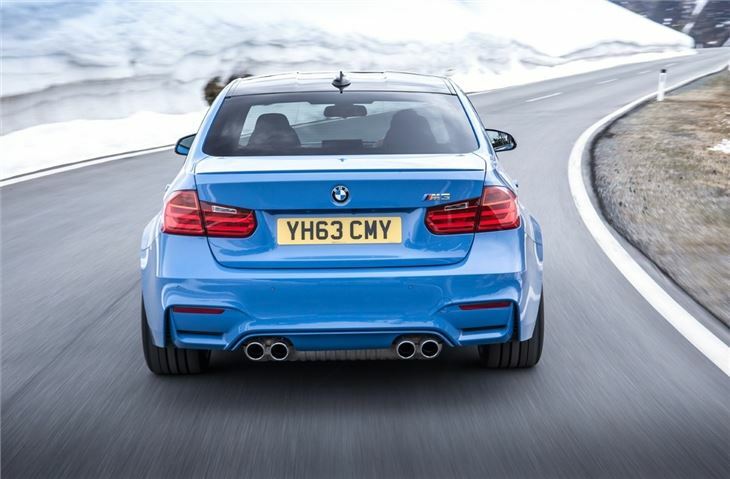 Yet it still feels every inch the high performance saloon when you plant the accelerator and get it onto a demanding, twisting road. 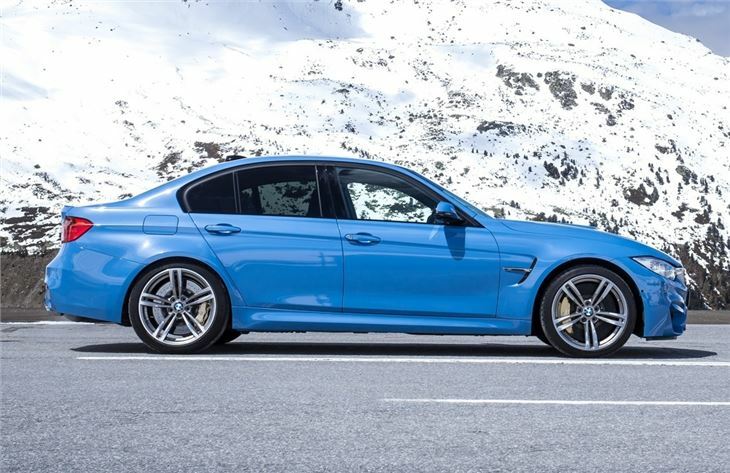 There's incredible grip, superb traction thanks to a limited-slip differential and minimal body roll.